Located on the Anjuna beach in Goa, most popular yacht charter to the Chapora fort. It is one of the most popular tourist attractions of India. This massive fort is built out of red laterite stones. The Chapora fort is located at a distance of around 10 kilometers from Mapusa. The fort was built in a grand style and also had underground tunnels to aid in escaping in case of an emergency. After the Portuguese left, the fort was abandoned and never occupied again. Today, though mostly in ruins the fort gives a spectacular view of the Vagator and the Anjuna beach. Many honeymoon holidaying who come to the beaches visit the Chapora fort just to feel that mystical air and view the sea from the ramparts of the fort. The walls are still strong and have withstood the lashes of time for many years. 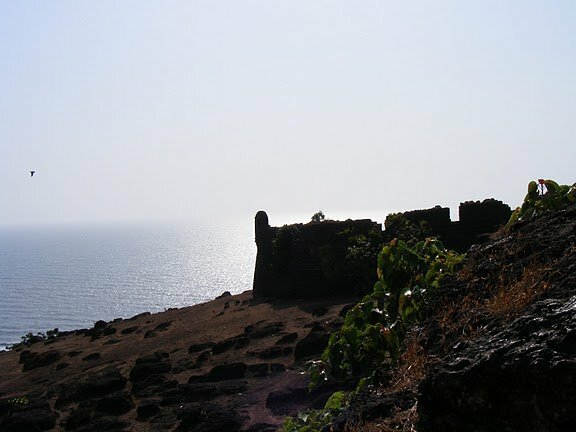 The Chapora fort is a very popular tourist attraction of Goa and many tourists don't go back without visiting the Chapora fort at least once. Enjoy spectacular views of the sea, swaying coconut and palm trees, sun, sand, and greenery from the ramparts of Chapora fort. A visit to Chapora fort by private yacht charter or speed boat is worth it for the lovely views of the beaches and countryside.